Courtesy of West USA Realty of Prescott. This home is truly move in ready and start LIVING! Gorgeous 3 Bedroom 2 Full Baths with 2 Car Garage. Split Bedroom Floor plan with Beautiful Mountain Views. Conveniently located between Prescott and Prescott Valley in Diamond Valley. Bright, Open Floor plan! Kitchen offers Granite Countertops, Lots of Cabinets andtile floors. You won’t want to miss this home to make it YOURS! Come sit on front patio, have coffee and enjoy the Mountain Views! NO HOA! Directions: From Prescott Hwy 69 To Diamond Drive, Make quick Right onto Emerald then Right on Sapphire to home on the left. 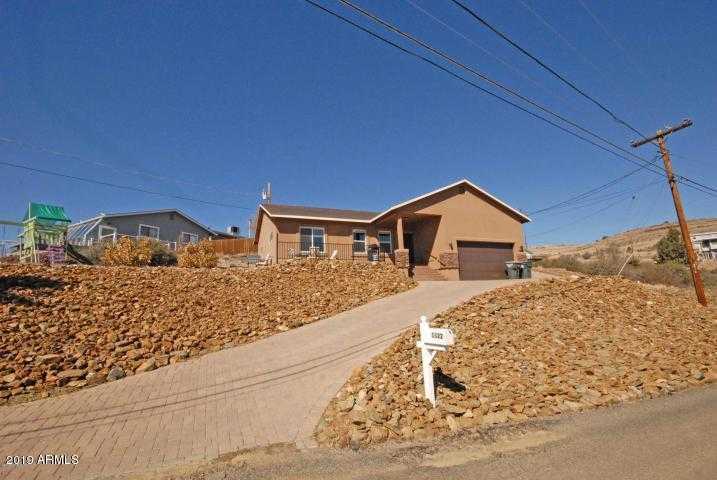 Please, send me more information on this property: MLS# 5902439 – $284,900 – 5322 E Sapphire Drive, Prescott, AZ 86301. I would like to schedule a showing appointment for this property: MLS# 5902439 – $284,900 – 5322 E Sapphire Drive, Prescott, AZ 86301.